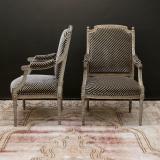 A pair of 18th century fauteuils. The chairs have a gendarme-topped crown, in the manner of a soldier's hat, surmounted with two turned and finely carved finials. The chairs' bookmatched gold-leafed neverending carving flows outward from the crown of the chairs to the boxed parterre supporting the finials mentioned above. The neverending chain (money-chain carving) continues, leading down into the chairs' arms. 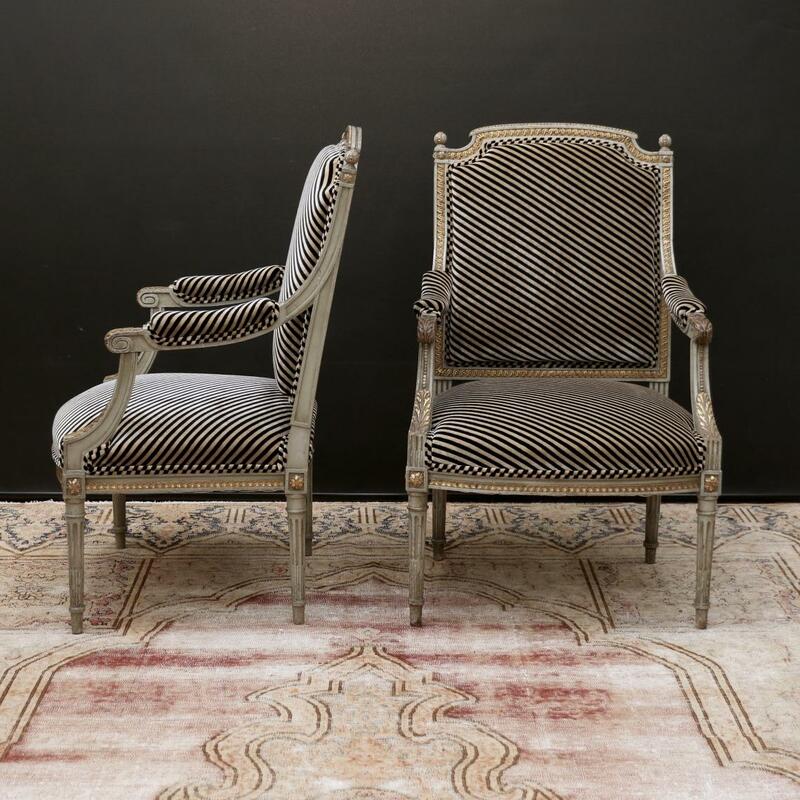 The padded arms are supported by a gainsborough-shaped arches, which in turn are supported by the chairs' typical Louis XVl/Dircectoire fluted and carved legs. 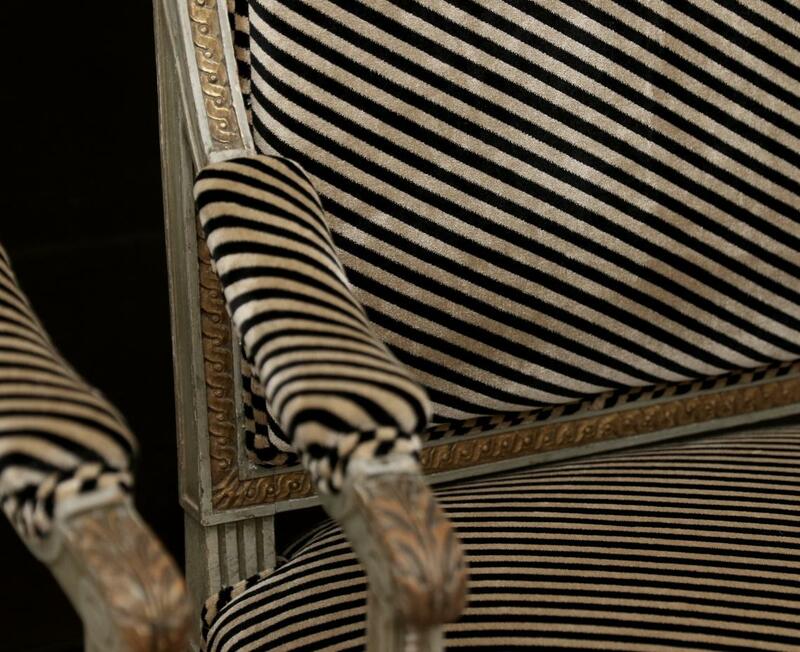 The finish on the chairs is a grey gesso, highlighted with 24 carat gold. 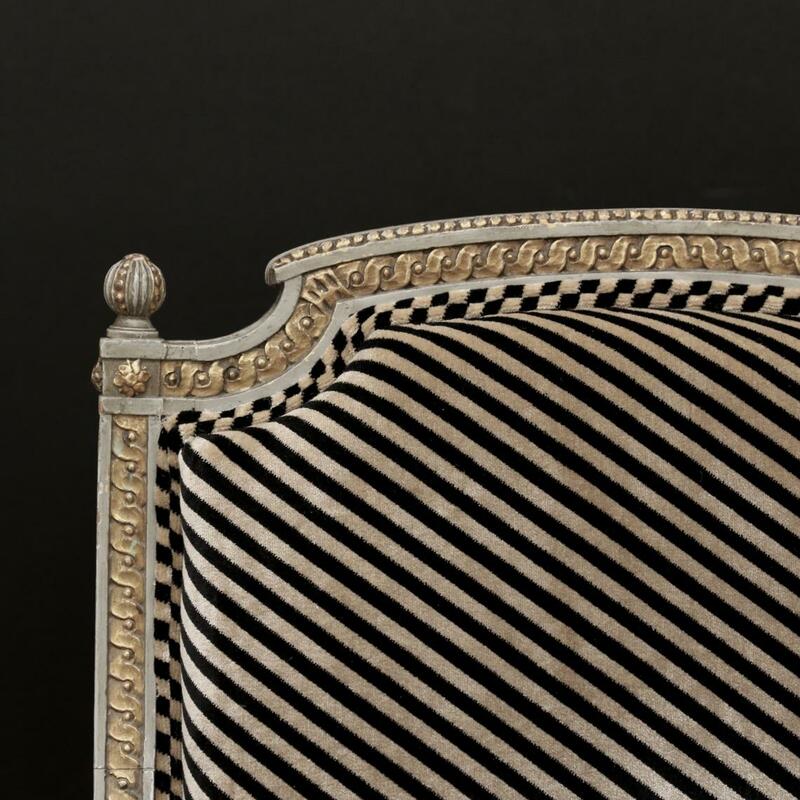 Katrina has chosen a gorgeous upholstery fabric, and the upholsterer has managed to double pipe the edges, perfectly enhancing the fabric's lovely diagonal stripe. 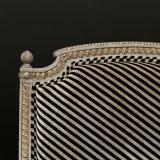 If you are interested in sourcing a similar piece please call us on +64 9 529 1660 or email info@js.co.nz quoting #111-16.